hopefully this will work, I am going to try and copy paste some emails here that have gone between me and Cardiff County Council and this time there will be no attempt to hide other peoples identity and they can sue me if they choose. Also some images for you to look at and consider for yourself whether indeed I am being victimized by the council, and wilfully neglected by those who have received copies of this email correspondence. Judith Woodman kindly gave me your email address. I am going to copy paste the list of emails sent to Alison Woods one of them maybe adrift, but I am not going to waste further time looking for it. I have made a corporate complaint regarding the two letters received from housing officers, and I am also in this making one regarding Ms Wood lack of response to the meeting, at my home. Its ironic that today yet again Mr. Watkins is banging and drilling and all that in his kitchen which has been an ongoing thing since the week including the 6th jan 06. So you will all have to forgive me that I have played the piano and sung a coupla songs to take my mind off of it all. In 3.2 i.) of Samantha Davies letter date the 30/11/05 which I have responded to yet received no satifactory reply from she has accused me of playing loud music at unsociable hours of the night. I have refuted that, and more I have stated that I have been victimised by both neighbours and council officals since my taking residence of this property in 1999. Further to that particular letter it is claimed that I have put some belongings in the garden of my neighbour, that is another lie. 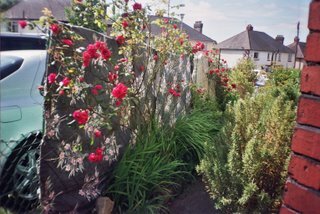 When I was forced to give up the section of the garden to Mr. Watkins I removed all that I was going to, what remained there 3 years ago was for the new owner to sort out much like I had to sort out the mess of the property when I took it over. That Mr. Watkins chose to dump stuff here and there is not my concern, If Alsion Wood had made a visit she might have seen all the soil and cement dumped on Mr. Watkins garden by the A.Holes from nu17, But I don't see them being made to take that back, you might ask south wales police about a call out when Mr. Watkins did take over the garden and dumped the wood I was about to burn from my removal of the plants in that section of the garden back onto my side damaging bushes as he did so, criminal damage I would have called it but the police refused to take issue with him over that, way back in what 2002. That Mr. Watkins did not live at the premises for the 3 years prior to 2006 makes me wonder how the hell he could know what I was doing at the property, but then niether my Mp or AM or the local gov ombudsman has to my knowlege contacted the electicity or gas supplier to verify any drop in his ussage during that period to confirm that what I have stated to be the truth. I am still waiting for the court order to force me to take down my curtain screens that so annoyed Karen Llewellyn on her supposed routine inspection of the property, I still want to know how come nu17 and 15a know what my business is with the council??? Or that nothing has as far as I am aware been done about threat to burn them down or Mr. Watkins claim that he owns the fence by the police or confirmed by Ms Wood. But then it doesn't all end there, this Tues 15/11/06 after an hour or two of the bangers n smashers having a good go at the kitchen above me, one of your gas engineers turns up to look at the gas fire, it seems that I am to make good myself the repairing of the wall surrounding the new fire (to whom should you send the bill crazydave) he peeled back the silver tape that holds the back plate of the fire to the wall plainly inview as a satifactory finish to the job apparently, and went to get some more because the paint had come off and it could not be restuck, he had a phone message alledgedly from his boss who told him not to touch it any more and to switch the fire off. I wonder is silver tape so expensive that the council could not afford the 18 inches that would have restuck it. Or is it more of the perverse sadistic little games that the council like to undertake when dealing with me?? ?Needless to say I had other things organised for Tuesday afternoon infact I was in the process of getting dressed to go out when the engineer turned up, and it was arranged that the contractors would turn up on thursday to cut the back plate so that the tape would be less obviously in view. They did not and there has been no card left to say they called. I have the warning notice that I am apparently to bin after the contractors have made good the repair. reviewing the situation since then I will now keep the piece of paper for my files. After all it was due to one engineer in the past that I had bricks with plaster put into my hot water system so that when I did bath it was in muddied waters. I wonder if you might question why the boss said not to stick it back with tape??? to those others in position of authority greater than Mr. Hills who receive a copy of this I wonder if you are all proud of yourselves for allowing the continued abuse from officers of Cardiff County Council to myself via your unwillingness to offer any meaningful assistance to me in any of the matters I have raised, or is there one of you who will finally say ENOUGH IS ENOUGH so that all this victimisation, all this wilful neglect, all this abuse ends??? Or do you want it to continue continue continue. I am mindful that since my placing the doors barring entry to my back garden that my compost bin is remaining full that barring the break in of it a week or so ago when it was just secured with wire I have had no significant plant theft, and await with interest my return back to the non-manifest so that I may review the doings at 15 xxxxx place from the akashic records, and what karmic influence this will have on all concerned. Good day Mr. Hills I trust your response will not be overly delayed. David Gabriel, p.s. I am sure you must be aware of the blogs I have made on http://www.blogger.com/ search words welsh assembly the crazydave files but if not print the page and then go through the blogs some of it may make interesting reading for you. to open the attachments to your e mail. presently on leave. I will do so when she returns to work. concerns about the letters sent to you by Housing Officers. you to arrange the interview . I hope this is of assistance to you. thanks for the email, I was hoping that you'd have some corporate complaint numbers for me but I expect to much eh! As for the gas fire incident I wonder if I'd put in the email I have replaced the tape with my own and have turned the gas back onto the appliance myself I would have had an engineer out tuesday of this week????? Probably. I trust that you will have a chat with Ms Wood and find out what the Hell is going on in her dept. I'd also like a corporate complaint number for that as well if its o.k. with you. As you noticed the email went to uncle tom and his mates, same as this one, as some of the receipients are as culpable as Ms wood in the wilful neglect and vicxtimization of my self as the housing officers who sent me those nasty little letters. I happened to be doing my own bit of DIY this week and came across 3.3 is it about the threat of vioelence n stuff, pity that was never to my knowledge inforced on the A. Wipe in nu 17 oh no for that individual the council sold the property, much like they did to Mr. Watkins, still what goes round comes round either I have crap Karma from a previous life or I sure am gonna see the come round to all these people like the dude who put the bricks with plaster in my hot water system, before the evidence was distroyed. Yours one fed up of being victimizzzzed tenant Crazydave aka Mr. Gabriel. Wednesday the 30th I believe. Today I have had the not so great pleasure of Mr. Watkins n Family disturbing my peaceful enjoyment once again with the ole foot stomping on the ceiling (a pox on the ombudsman). He further went on to show me some drawing of the property in some document, and that according to the deeds he owns the front garden that Cardiff County Councils Mel Rickard assured me would be left in my tender care. You might note in Corporate complaint 99/3/2 that From my first moving to the property(17/7/99) requested sole ownership but that noone had the balls to grant it, and now it seems that I have been conned into its upkeep these past four years. Mr. watkins informed me that he intends to serve this document on the council and that next week there are contractors who are coming to rip up all the plants, shrubs and tree that I have growing there. I wonder if you Mr. Hills will serve this email on your legal dept. so that what he claims will not happen. What I wonder will happen next week if I do not hear anything and like numerous other ecowarriors defend that piece of sacred space????? Will the police who have allowed for all the abuse from both him and the A. Wipes of nu17 the council and all the members of the welsh assembly who have ignored my protest for the last 2.5 years suddenly recall what their duty is an arrest me, a person spitefully misused by all and sundry, or will your legal dept serve a what ever to insure that what he claims does not take place, or will you sir claim that you were on holiday and never received this email. I also wonder after quoting the number from the councils tenant hand book in the email below what the dates are between thurs 15.8.02 see the copy of the first council neighbour nuisance hand book sent to the ombudsman and the date of Mr. Watkins granted ownership and ask well had he vacated for longer than the stipulated time span allowed for in this council book of rules. Because certainly 3.3 ii using or threatening to use violence. Has never been to my knowlege ever upheld, although I have made uncle tom cobble n all aware of those incidents that have ocurred in the past. See nuisance book nu 2, copies supplied to the ombudsman, complaint letter sent to Chief Super Bob Evans. Now I would like to address Jonathan Morgan A.M. Who has visited my property this year, Jonathan will you do what you can to find out from the phone number above that the gas company retain the information on the meter that was removed today???? or to Hayley at south wales police that your organisation does attempt to do the same, and I will ask at some future time if this was indeed done. Unless of course I get arrested next week for wounding or something, and when that goes to court ask the judge to take all this into consideration, all this neglect all this game playing, all this documentation. Oh and by the way Mr. Hills its 2 weeks now since the fire was disconnected. Can any of you who receive a copy of this email contact the Chairman of the council Mr. Berman (his email is attached)and see what he can do to stop this threat from taking place, and demand that a real investigation be held into these and the other matters relating to this property and my tenancy finally take place. I wonder if you will. So far I have not even had the courtecy of acknowledgement of receipt of the last email in the main I have received no reply to any email on any issue from anyone. I wonder why Crazydave. Well thats enough. Yes 7 yrs I have maintained that front garden and I would like to show those not in the area what it has evolved into since the weekend 17/7/99 when I took residence, unfortunately financial restrictions have barred me from having those films developed, one day maybe one day, and the million experiments that I have carried out in growing closure to an appreciation of the plant kingdom, be viewed. Not that anyone it appears cares about that, or my still having below the legal requirement for sound insulation, or the tricks that have been played on me by warped individuals, from neighbours through to government officials. Well Mr. Hills what assistance can you provide to all this. What chief constable are you likely to do with this bothersome Crazydave, continue to ignore me, much like the guy the police ignored in London who was shot???? As for the ombudsman like I said a pox on those people, because he it has aided n abetted the housing office in their victimization of myself, this event today just underlines their duplicity. As for the title of this email, 2006 the year Cardiff County Council was deemed an unfit social Landlord it was something that I wrote on the back of the envelope to Lord Dafydd Ellis Thomas, the one where his office reply was that he had no Locus in these matters. Yours a dispitefully used David Gabriel. I have tried to get intouch with British Gas but as ever they are to busy and the money was low, pity mental cases don't get phone lines provided. So I got intouch with the office the engineer Robert was from their number 01179728826 Sue was very nice polite but unfortunately due to the request for the information that meter might hold couldn't help. I notice no mail in my inbox, not Hayley from South Wales Police saying 'thank you for the email Mr. Gabriel I have passed it to so n so'. Or from Jonathan Morgan Saying I've been intouch with British Gas and the information contained on that meter is held in storage and they will be able to tell if there has been a significant change in ussage since Mr. Watkins tenancy not least the period from 15/8/02 until Jan 06. 1) to veryify that what I had claimed regarding the 3 year abscence was true. 2) To see whether the Benefit agency would pick on an individual and not an organization in the thorny question of Cardiff County Councils rent revenue account that shows £30 million in rent rebates in expenditure, as I have been told this relates directly to County Council tenants and not any other social landlords or private ones with rent levels therefore raised to cover that curiosity and as 80% of council tenants are in receipt of Housing Benefit defrauding the DWP by said £30 million. Seems like nobody has been willing to challenge that practice Mr. Hill or to ask those oh so revealing question on my behalf, or to demand that a set of accounts be produced as if these properties were in the ownership of a Housing association what would be the bottom line difference. Then I would have asked what the Hell would social housing be like if this little practice had never occured, would we be seeing rent levels of £600 p.m. for poxy flats in Cardiff today. I really do not think so Mr. Hills, but then the media havent been that keen on demanding it where I have failed though all know the question remains unanswered eh Chief Constable. 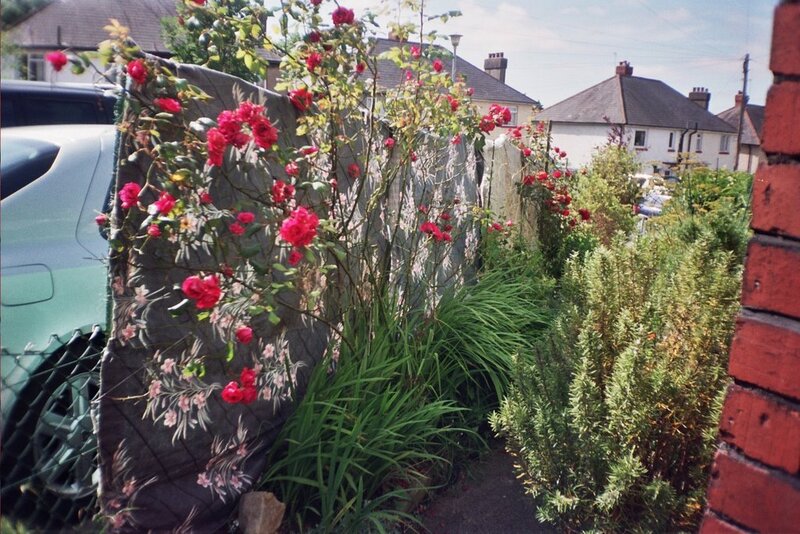 Also I have had a film developed today 17-0405 to 15-0096 are parts of my garden front and back the last two 9-0090 n 10-0091 are what remains of the side garden that I had to give over in 2002 and Mr. Watkins who hasn't given a toss for the environment has allowed it to become. One day Mr. Hills I hope to be able to have the early fotos of my period of ownership of that piece of land and compare it to this, the big question I have right now today is if the ombudsman couldn't make a decision on allowing me it all in CC 99/3/2 then how can the council sell it to Mr. Watkins without consulting me most especially when your double dealing Mel Rickard assured me that the front would remain in my cultivation. How on earth looking at that mess can you have your Llewellyn chick tell me to take down my screen of curtains when I am looking at that??? or am I goddamn right in my claim that she and this Samantha Davies and this Alison wood and uncle Tom Cobbly n all are victimizing me in their letters to me, in their unwillingness to request information to prove that what I have said is true regarding no one living there?? ?or any of the other alligations made against me, or the wilful neglect, or the willingness to house me where I will not have to live with other people invading my space, after oh much to long Mr. Hills that ought to have occurred in 2002 but it seems indiginous people cannot be houses adiquately and that is in part due to the way State Money is used to prop up the private sector housing, because the councils unelected officials can get away with bloody murder. Sorry for the rant, times up must send Crazydave out. back to me rascals, so I have printed it off and today the 1/9/06 will be delivering to central in cardiff for chief super Bob Evans. Now the fotos one has come up but the others have not looks like I will have to do a seperate blog unless they miraculously appear when published lets see. Oh by the way fri 1/9/06 and still no fixing with the tape of the ole gas fire, lucky its not winter eh Crazydave. Yep. Or any restraining order!!!!! By the way people the rest of the images are on the blog cardiff county council .v. crazydave, the ones with the barren garden are what remains of my having to hand that over in 2002. Sad so Sad dispite is such a Sad Sad thing.